Successfully Added Car Digital Media Center - 1-DIN Car DVD Player to your Shopping Cart. Great Wholesale priced single DIN (1-DIN = 50mm tall) Car DVD and CD Player for transforming your normal in dash CD player into a complete digital media center. 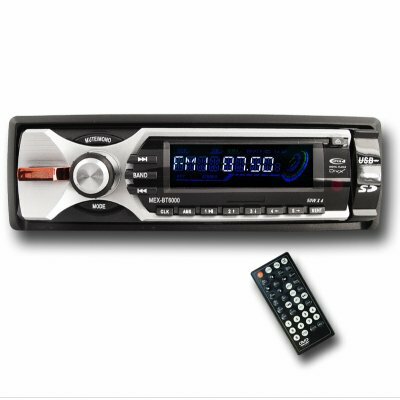 With this unit, you will be getting an incredible 45W x 4 audio stereo with the ability to play DVD's, CD's, MP3's, and even play MP4 movies. Pair it with your choice of an high definition LCD monitor, and everyone in your vehicle will be caught up in their favorite movies. Multiple features and the low factory-direct priceall go towards making this Car Media Center a great choice for anyone looking to upgrade their ride. So don't wait, get yours today! on 2009-05-02 00:18:22 great unit no better deal! this head unit works well and i will recomend it to my customers. ( it does need time too warm up in cold weather before it will work) it is easy to use and install. my customer understood its operation riight away! on 2009-04-16 19:27:24 Great stereo! Just got this stereo and a 7" lcd screen, tok Chinavasion 4 days to send it here to Norway! Anyway amazing sound quality and easy menu to navigate! Cheapest stereo on chinavasion 140$ for this, a 7" screen and shipping!